Allah’s religion is vast. It is for all people, in every time and in every place. SeekersGuidance Global endeavours to nurture individuals to manifest the guidance of the Qur’an and Prophetic teachings in their own life. SeekersGuidance is a non-profit Islamic educational portal. 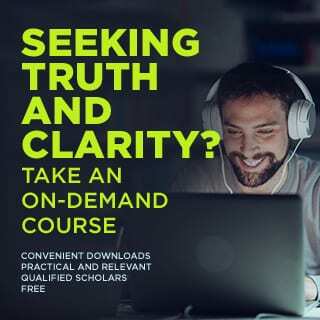 It is our mission to make sound knowledge from reliable scholars available anywhere, at any time, through online courses, on-the-ground seminars, engaging and inspiring Islamic media and through our Answers service — completely free of cost, with our Knowledge without Barriers initiative. In order to benefit you, knowledge must be sound, relevant and accessible. We at SeekersGuidance are dedicated to helping you to apply the mainstream, traditional understanding of Islam in your day-to-day life. The Prophet Muhammad (peace and blessings be upon him) said, “The strong believer is more beloved to Allah than the weak believer, although there is good in both. Be avid for all that benefits.” For those avid for the benefits of learning their deen, SeekersGuidance is there. Our Online Academy offers a clear curriculum-based path for students of varying needs and aspirations, taught by highly qualified, well-respected scholars. Currently, over 3000 students per term take part in our growing catalog of courses. Our Podcast and Blog provides interesting news and practical guidance on living the deen of Islam in your daily life. Our free Answers Service lets you ask our scholars questions of concern to you in your own life, or search for relevant answers in our archives. Our scholars answer around 10,000 answers a year!